Lawyers for Lawyers (L4L) are attending to China/UPR pre-session to ask state representatives to pose questions and make recommendations about the critical issues raised in the Joint UPR/China report submitted by L4L and LRWC (link). The Information Handout (link) highlights LRWC and L4L concerns. Since then, several lawyers were prosecuted on broad charges, such as subversion of state power, inciting subversion of state power, and picking quarrels and stirring up troubles, in unfair trials. These lawyers were sentenced to lengthy imprisonment sentences. Of those arrested in the 709-crackdown, the lawyers who still remain in prison include: Wang Quanzhang, Jiang Tianyong, Zhou Shifeng, Li Yuhan and Yu Wensheng. See JI L4L & LRWC, par. 18-22. It has been reported that detained lawyers have been subjected to torture and degrading treatment while in prison. See JI L4L & LRWC, par. 21. (2) In China, access to and the continued practice within the legal profession is conditioned or controlled by the executive branch. Lawyers must renew their license to practice every year. The Ministry of Justice and its lower-level offices are issuing / renewing lawyers’ licenses on an annual basis. It is an administrative procedure to revoke or not renew a lawyer’s license and the applicant has no access to an independent decision-maker to oppose or appeal a decision to revoke or refuse renewal of a license to practice law. Moreover, in November 2016, the Chinese Ministry of Justice implemented two administrative directives affecting law firms and lawyers (MoJ Directive 133 and 134). The Directives require lawyers and law firms to support the leadership of the Communist Party of China and the socialist rule of law as the basic requirement for legal practice. Lawyers are also prohibited to incite, organize or participate in demonstration that could disturb public order. Both offline as well as online. The prohibitions in the Directives are formulated broad and vague. An accusation of non-compliance with these Directives can lead to withdrawal or non-renewal of the license of a law firm or lawyer to practice law. 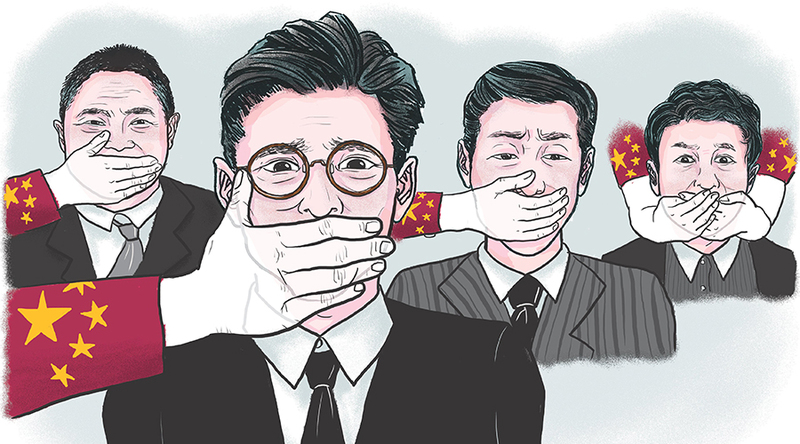 The lawyers are subjected to the arbitrariness of the Chinese authorities. The authorities often use their control over the licencing of lawyers to exclude lawyers who they deem ‘problematic’ because the work on sensitive cases. Since the implementation of the Directives, authorities have revoked or suspended the licenses to practice law of several human rights lawyers. They have also cancelled the registration of one law firm. See JI L4L & LRWC, par. 23-29.